Know Compliance Requirements: You won’t know what laws your organization has to abide by until you do your research. Find out what applicable guidelines are relevant to your industry, physical business location and even employees. Some regulations are industry-specific, while some apply to all U.S. companies. Verify Your Existing DR Plan is in Compliance: If you already have a DR strategy that is well-established, or if you are revisiting disaster recovery planning, it’s important to make sure the current plan is in compliance with industry and government regulations. Choose Infrastructure Wisely: Regulations cover practices, not actual infrastructure, so you’re free to choose the option that’s right for your organization. In a poll conducted by IDG in February 2016, 50% of IT decision makers reported that while they are happy with their current disaster recovery solution, they still worry about it. This is why it’s essential to test your disaster recovery plan. According to Jeff and Yaron, “Many organizations avoid testing their DR plans because they fear the cost of downtime.” If you fear downtime, find a DR solution that allows you to test components without bringing down the network and interrupting business activities. Set goals early on when conducting disaster recovery planning; you’ll be relying on these when you are in the midst of an incident and will want the process to go as smoothly as possible. According to IT Pro Portal, “Defining solid recovery time objectives (RTO) criteria is a must, as well as calculating how long your business can continue to run without access to your data.” Sit down with your IT team and discuss what’s realistic for your organization and scenarios where potential downtime is nonnegotiable. Your on-prem and web apps should be secured just as well as essential business tools. While you may not think you have many apps, look to the cloud – all of your cloud-based applications or the solutions storing your data in a public cloud need to be considered during disaster recovery planning. Hold an audit with your IT team and fully assess your systems to include them in your DR plan. In that same IDG poll mentioned earlier in this blog, 17% of IT decision makers reported they were not happy with their existing DR solution. Once your organization’s DR plan is in place, this isn’t the time to wash your hands of it and never revisit it again. You should instead be testing, tweaking and monitoring your strategy as necessary in order to keep up on new industry or government regulations or changes in the business infrastructure. If an incident occurs where you need to put the plan into action, monitor and measure the results to find areas of challenge or opportunity. 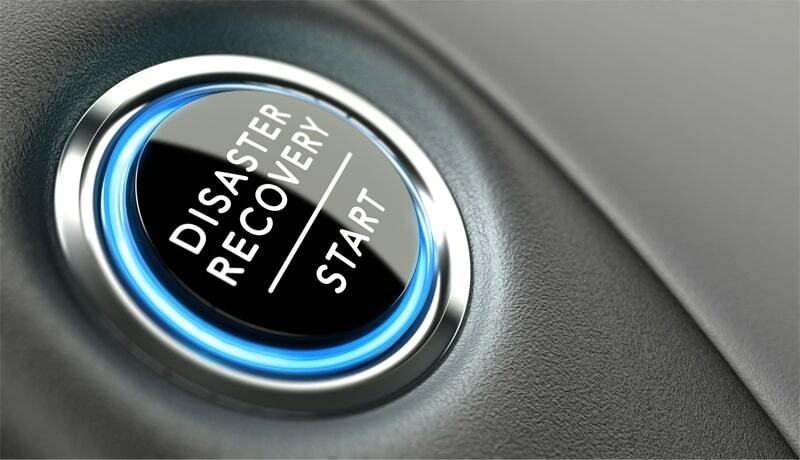 The most important thing to remember is that disaster recovery is a highly individualized process. One size doesn’t fit all for solutions and you should fully assess your needs before embarking upon a recovery mission. Likewise, build many options into your disaster recovery plan and prepare for many possible scenarios so you will be ready when disaster strikes. If you’d like assistance with crafting your organization’s disaster recovery plan, need help retrofitting an existing strategy or if you are just getting started, we are here to help. Contact our experienced IT team today for more information on keeping your data safe.